Dark circles under the eyes are usually not a sign of a serious health problem. Yet they can make you look tired; or even worse, appear older than you really are. But you don’t have to live with this problem and feel embarrassed, if you know how to cover them right. Dark circles and other blemishes – are they gone for good? When it comes to how to hide dark circles or reduce their effect, you have a variety of easy fixes: from natural home remedies and makeup to eye creams. For quick but short-term results, there are concealers and correctors that make the undereye discoloration look like they vanished. And it’s simple to learn how to use these makeup for dark circles. Meanwhile, on-going treatment to diminish the problem for the longer term should be in place, be it simple home remedies or a quality eye cream. The latter solution is preferred for its ability to repair that delicate area under your eyes, so much so that it becomes all you’ll need after a period of use. From a practical angle, the best tip is to combine one of the long-term methods with makeup to create an effective regimen for treating the appearance of circles. Many companies roll out makeup which target dark circles: correctors and concealers. So it shouldn’t be difficult to find one that works for you. However, the key is in knowing the difference between an under-eye concealer and corrector, as explained by an expert makeup artist in the video below. The corrector and concealer for dark circles can certainly become your best friend, once you learn how to use them properly. But with so many products in the market, do you know which are the recommended dark circle removers? One of the best under eye concealers and correctors for dark eye circles come from the Bobbi Brown natural makeup line . Brown was a makeup artist herself, so it’s not surprising that many women trust and seek out her products. The Bobbi Brown concealer is available in 15 different shades. It is cream-based and long wearing. The corrector from this product line comes in 16 different shades of peach and pink. This is infused with skin conditioners to protect the under eye area. With Bobbi Brown, every woman can easily find the perfect match of correctors and concealers. Check the prices of Bobbi Brown’s Concealer and Corrector at Amazon before buying; look out for special deals and free shipping too. When covering those dark circles under your eyes, you need to evaluate how dark they are. If you’ve just had a late night out the day before, you probably need a concealer to hide that slight blemish on your face. But if those ugly circles are more pronounced, then you may need a corrector. The best dark circle concealer is one that is creamy. If the concealer is dry or thick, it may cause lines under your eyes, making your circles look worse. You want to choose an under eye concealer that is the same exact shade as, or at most one shade lighter than, your foundation for a perfect blend-in. How to use a concealer: Using a small foundation brush, dot the concealer on the dark circles only; do not apply the product on the entire eye area. Lightly dab the concealer onto the circles, and follow up with face powder to set and blend it. This short Cover Girl tutorial is handy. When using an under eye corrector, you will usually choose between two different shades: pink or peach. Pink-based shades work well on those with paler skin while peachy ones are more suited to darker skin tones. Don’t let the colors scare you off though, as they will effectively counteract the darken skin discoloration you’re trying to hide. As dark circles have a green or blue undertone, the corrector’s color neutralizes them to brighten up the affected area, thus creating a more natural look. Pick one or two shades heavier than your foundation for best effect. Note that the best dark circle corrector is cream-based as well. How to use a corrector: Use the concealer brush to apply the corrector, covering only those dark patches. Pat it in lightly with the finger tips to gently blend it in. Some beauty experts suggest following up with a concealer if your circles are really dark. You can get more tips on covering up dark under-eye circles at Elle.com. As we touched on earlier, be mindful that concealers, and correctors for that matter, only help you to cover up your dark circles problem. Once you remove the makeup, this undereye darkness may re-appear. Though a convenient measure that hides dark circles fast, this is but a stopgap. To see more lasting results of diminished and even disappearing circles, a more permanent approach is needed, as discussed next. Home Remedies — More of a Novelty Solution? Many people have been told that one of the best ways to reduce dark circles starts at home. The main reason for this is the remedies are natural and won’t damage your skin — they are usually based on staples in your pantry. One oft-quoted example is almond oil, which has garnered quite a buzz lately. Simply pat a small amount of this oil under your eyes each night and rinse it off in the morning. The oil moisturizes the skin and dark circles would magically be reduced. Similarly, coconut oil is another super moisturizing oil. Apply it under your eyes and leave on for three hours, then rinse. Cucumbers are yet another common staple for such dark circle home remedies, due to their skin-lightening and mild astringent properties. On top of this, they provide a soothing and refreshing effect on the eyes. Just freeze a few slices in the freezer, then place them over your eyes for thirty minutes. Doing this provides a fast “pick-me-up” for tired eyes. The same effect can be had with tea bags too. 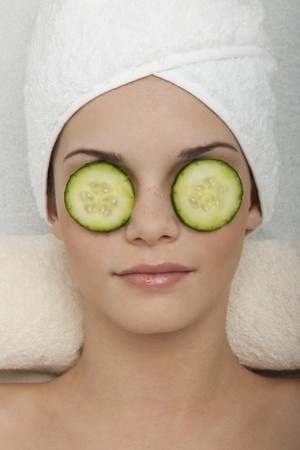 Alas, these home remedies don’t do much other than provide quick relief from pesky circles under the eyes. It is uncertain if anyone with this problem has really benefited long term from using such methods on a regular basis. Fortunately, we have a viable solution below to really diminish dark circles. Of course, not all the eye creams out there were created equal, though each may promise you eyes that look more youthful and brighter. The key is knowing what to look for in these products. The first thing to check is hydration. Moisture content is important, not only in helping the skin heal, but will facilitate the use of a concealer or corrector for dark circles. A good eye cream will also protect from moisture loss during the day. For night use, look for a deep moisturization eye cream to help repair the eye area while you sleep. You’d also want an eye cream that contains ingredients which help to repair broken blood vessels and strengthen the area under the eyes. Retinyl Palmitate is a popular substance in many skin care products. This form of Vitamin A helps to speed up the renewal process of skin cells. Hesperidin Methyl Chalcone is also good — this item helps to reduce leakage from small blood vessels, thereby lightening the dark discoloration caused by circles. And then there is the antioxidant Chrysin, which helps to improve capillary health and also reduce puffiness. Above all, do not use an eye cream that irritates the skin or stings. This can only aggravate your dark circles issue. Now, where might you find such a good eye cream with quality ingredients? 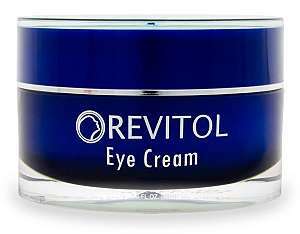 One of the best kept secret is Revitol Eye Cream, an exceptional face care product with many natural ingredients — all those mentioned, plus Sodium Hyaluronate for better hydration, a couple of peptides and other potent compounds. Using this eye cream daily can start to reduce the appearance of under-eye circles and puffiness too. Read our comprehensive review to learn more. 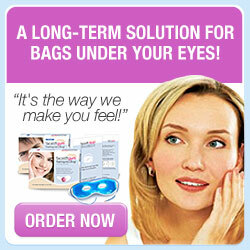 Knowing the secret is one aspect of the complete solution to eradicating the problem of dark under-eye circles. Remember though that environmental toxins can wreck havoc to your skin; so can stress, smoking and lack of sleep. Also, pay great attention to eating right to nourish your body and keeping all functions running in tip-top condition.